What are the Right Crib and Mattress Size? 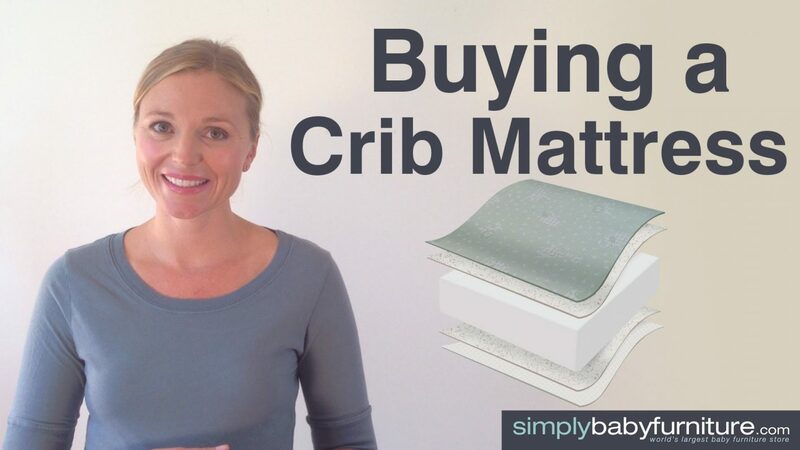 There are a number of factors that must be considered when purchasing a crib and mattress, and one of the most important aspects is the mattress size. There is a standard size for cribs and mattresses but sometimes people require non-standard sizes. If you are in such a situation, be sure to get your non-standard crib and mattress from a reputable manufacturer. Studies show that one possible cause for Sudden Infant Death Syndrome (SIDS) and other health hazards is the crib and mattress size. Newborn babies are in their cribs most of the time. Once they start moving around, they could get trapped between the edge of the crib and the mattress, and suffocate. There is also the risk of harm to the baby since the baby can fall in between the gaps and get injured. Manufactures consider the right sizing as a major concern and will even go to the extent of recalling their productions if the mattresses do not meet strict specification requirements and fit properly in the cribs. Manufacturers also consider the principles of ergonomics when designing their cribs and mattresses. Ergonomics takes biological factors into consideration. When designing the cribs, they ensure everything is in accordance to standard specifications, such as the distance between slats and overall dimensions. The quality of the material is also included in their considerations. The standards are meant to address safety and health concerns of the baby. Considering the length of time the baby stays in the crib and the degree of the baby’s movement as they grow older, the crib and mattress must be able to withstand constant usage and provide adequate safety measures to protect the child against harm. The standard specifications may have been based on studies conducted on the average size and weight of the baby, as well as their movements and activities in the crib. The standard full-size crib mattress is twenty-seven and a quarter inches by fifty-two inches, while the crib is thirty inches by fifty-four inches. Portable and compact cribs are twenty-six and a quarter inches by thirty-nine and a half inches. You can put pillows and other beddings on the sides of the mattress if there is any space remaining between the mattress and the sides of the crib. Standards defined by ASTM (American Society for Testing and Materials) and Juvenile Products Manufacturers Association set the openings between the slats to be no greater than two and three-eight inches to prevent the baby’s head from getting caught in between the slats. The corner posts of the crib should not rise more than one-sixteenth of an inch above the side. If they do rise, then it should be at least sixteen inches high. These precautions are intended to ensure baby’s clothing does not snag and get caught on the protruding posts. The standards are intended for a baby less than thirty-five inches high and under two years old. Taller or older babies run the risk of falling out the crib. ASTM is an international non-profit organization that develops and publishes internationally-agreed standards for materials, products, systems, and services. These standards become the basis for manufacturing, acquisition, and regulatory activities of organizations worldwide. Crib sheets are twenty-eight inches by fifty-two inches. Nowadays they are sold as fitted sheets and should easily fit into the standard mattress. Crib blankets are normally forty-five inches by sixty inches. The thickness of the foam mattress ranges from four to six inches, while a coil mattress may have a range of five to six inches. If you plan to get a non-standard crib, be sure the manufacturer is reputable and has a wide array of accessories, since in most probability you will be purchasing all your requirements from them to conform to your non-standard crib.